Sleep is, like, kind of a big deal. When you have enough of it, you’re energized and ready to take on any challenge life throws at you. But when you’re deprived, you’re more likely to overeat, feel drunk at work, and—according to one of the latest studies—experience relationship problems with your S.O. Researchers at the Ohio State University analyzed the relationships of 43 couples—all had been together between 3 and 27 years—and found that duos who got less than 7 hours of sleep a night argued the most. The couples who did get a good night’s sleep still argued (it’s part of life, folks! ), but not in the same way—they were way less hostile toward each other. While you could try to ameliorate this by donning a pair of mood-boosting rose-colored glasses, sleep deprivation also affected participants’ physical health. Blood samples taken both before and after fights reflected that those who got less sleep had higher levels of inflammatory markers, which can lead to health issues like heart disease and diabetes. Yeah, inflammation is no joke. While getting a heaping serving size of zzz’s every night is great for your relationship and your health, if you or your partner doesn’t reach that goal all the time, your love life isn’t doomed: According to the study, as long as one person gets enough rest, they can balance the other out so a discussion on whose turn it is to do the dishes doesn’t turn into a full-on, sleep-deprived screaming match. 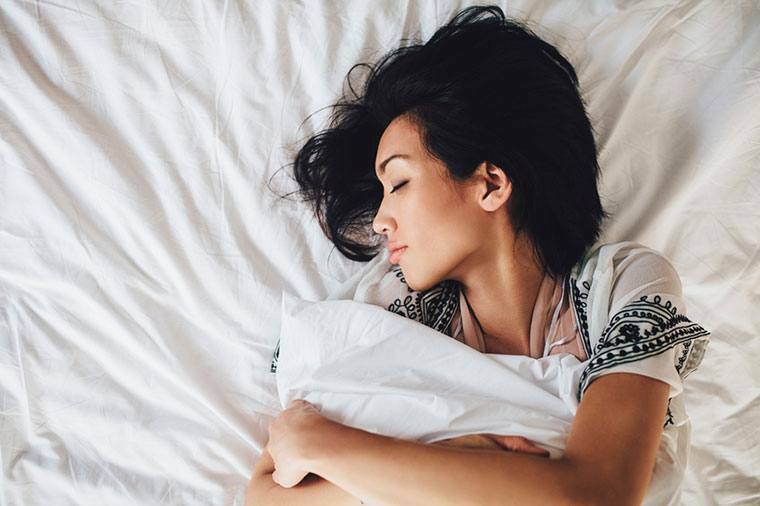 Add this one simple thing to your bedtime routine for a better night’s sleep, experts say. And to really help you wind down, these sleep-boosting essential oils are known for their zzz-inducing powers.